Fresh stats reveal a dramatic spike in people seeking help for problem cocaine use. 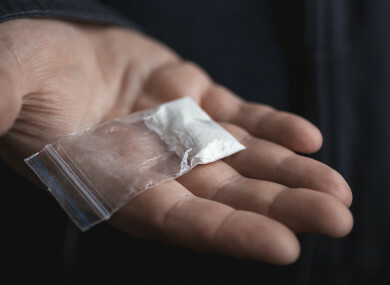 THE NUMBER OF people treated for problem cocaine use has nearly doubled in recent years, according to fresh data from the Health Research Board. A total of 1,500 cases were recorded in 2017, the most recent year for which stats are available. This represents a dramatic increase from the 770 cases that were recorded in 2011. The stats released today also reveal a spike of nearly 40% between 2016 and 2017 and they show that the number of new cases has risen from 297 in 2012 to 748 in 2017. Men accounted for 80% of the cases and 34% of the people in treatment are employed. Dr Suzi Lyons, Senior Researcher at the Health Research Board said: “There has been a notable increase in cases presenting with cocaine as their main problem drug since 2013, with a marked rise in the most recent figures from 1,138 cases in 2016, to 1,500 cases in 2017″. Cocaine was found to be the third most common drug for which people require treatment. Opiates, mainly heroin, came in first place, cannabis came second and benzodiazepines came fourth. The report shows that 63,303 people were treated for problem drug use between 2011 and 2017. The figures do not include people who receive treatment for alcohol related issues. Cannabis remains the most common drug among people entering treatment for the first time. The number of people in treatment rose from 2,161 in 2011 to 2,786 in 2015, before dipping to 2,200 in 2017. Email “Problem cocaine use increases by nearly 100%”. Feedback on “Problem cocaine use increases by nearly 100%”.